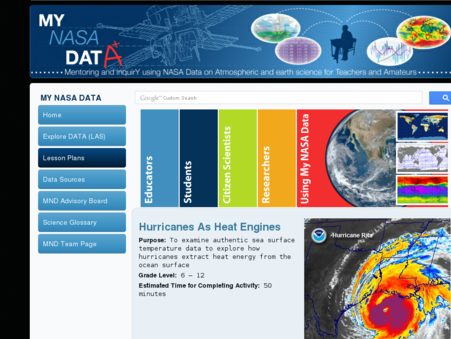 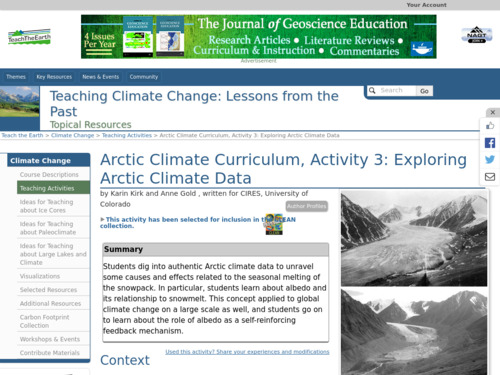 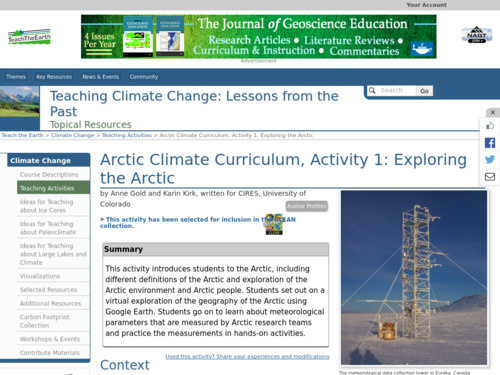 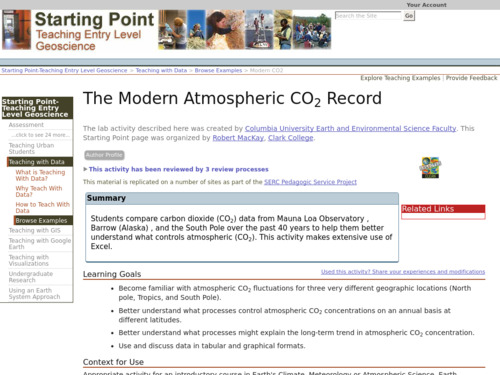 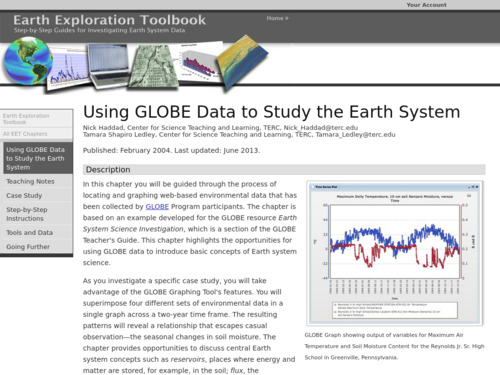 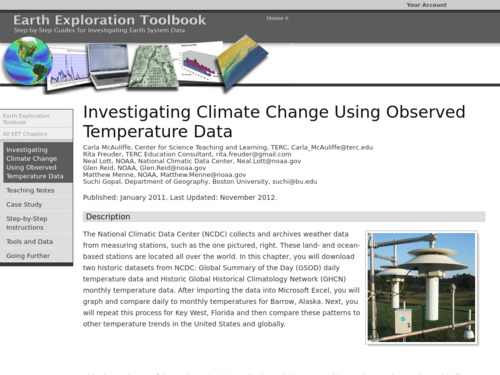 In this activity, students compare carbon dioxide data from Mauna Loa Observatory, Barrow, Alaska, and the South Pole over the past 40 years. 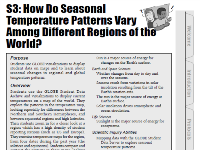 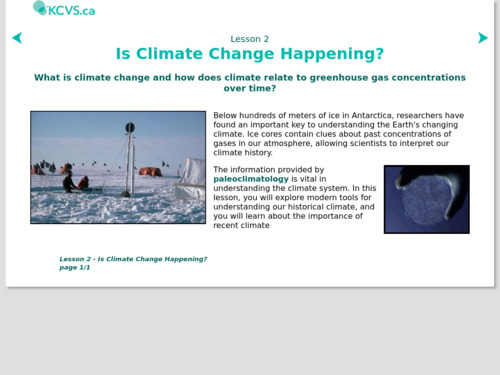 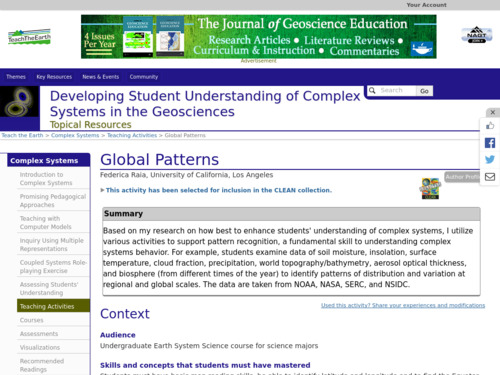 Students use the data to learn about what causes short-term and long-term changes in atmospheric carbon dioxide. 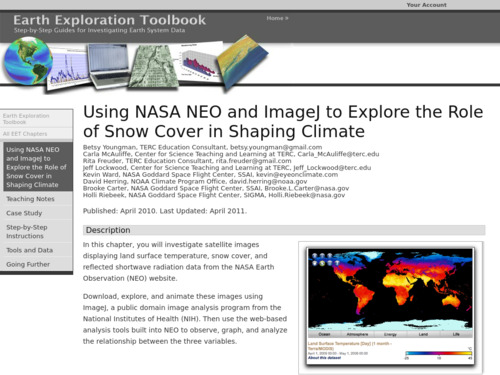 This activity makes extensive use of Excel.